Apparently, while we were searching out old cars, NEVS (the new owners of Saab) ran a pilot car through the production line. The Saab 9-3N is essentially the old GM-based 9-3, with a gasoline engine and no major changes. While we’re not about new cars here, it’s always sad to see a manufacturer go (even milquetoast Mercury), sometimes for sentimental reasons and sometimes for their unique approach to building a box on four wheels. With that, here’s what some will call the last year of the last real Saab, and in very youthful condition too. 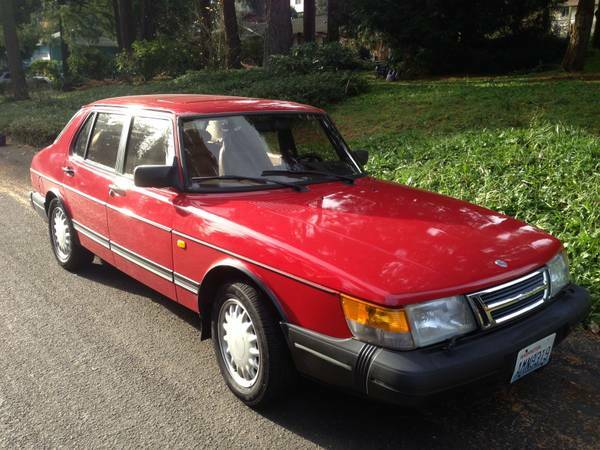 You can find this 1993 Saab 900S for sale in Tacoma, WA for $2900. If you’re interested in jet-age or mid-century modern design, you should definitely be familiar with the work of people like Virgil Exner and Elwood Engel. Exner actually designed one of the first post-war cars, the Studebaker Starlight coupe, which definitely had jet themes, and then created the futuristic forward-look cars for Chrysler. Incidentally, he was also responsible for the design of the 1956 Imperial featured last week. Elwood Engel is most famous for his work on the 1961 Lincoln Continental, but also worked on the similar looking Chrysler slab-sided cars, as well as having a hand in most of Chrysler’s muscle cars. 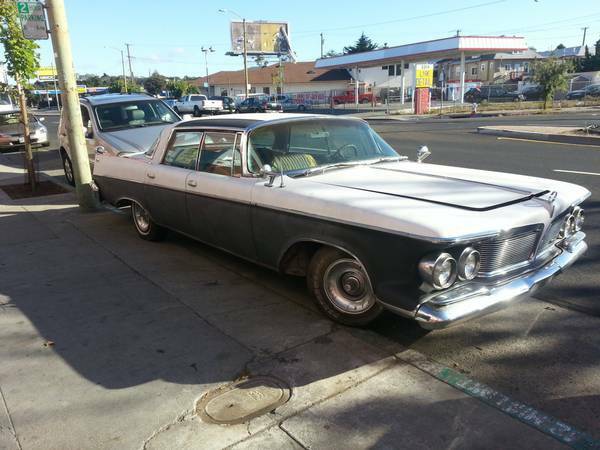 With that context, here’s Exner’s last opus, or the reason Engel was called in – this 1962 Imperial Crown sedan is for sale in Oakland, CA for $3500. In addition to wind-up windows, door handles, and a proper top, the Sunbeam Alpine was criticized for its styling. It had more than a passing similarity to Ford’s Thunderbird, and had some pretty huge fins for a post-war British car. However, it was quite prescient, and its more successful competition followed with cars like the MGB and TR4 sprouting wind-up windows and other comforts once considered too soft. As a result, the Alpine makes a pretty usable car, even by today’s standards. 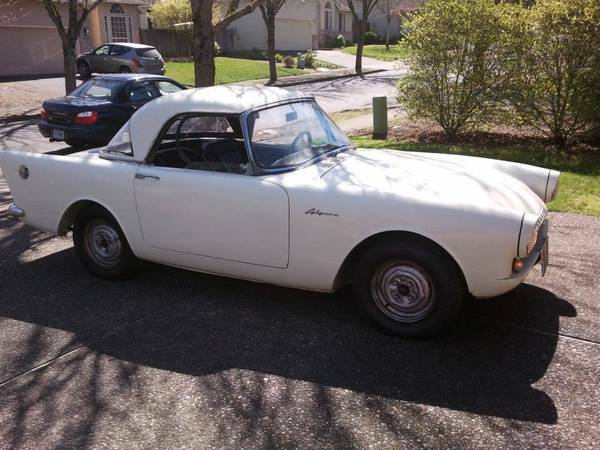 You can find this 1961 Sunbeam Alpine Series 1 for sale for $2750 in Beaverton, OR.